The anti-Trump donors to a “Resistance” organization have now been revealed. In un-redacted tax forms, we now can give the name of the organizations that support the Center for Community Change Action, which is a Washington, D.C. group that specializes in “community organizing” and has refused to release the names of their donors. Fortunately for us, their tax forms are free for us to view. The CCAA has been involved in actions against both President Trump and the Republican Party both before and after the November election, where Old Hag Clinton’s lifelong dream of being a President with a lesser resume than Obama, lost to Trump. The members of the CCAA are also involved as sitting board members to other liberal groups dedicated to activism. The largest contribution to the CCAA was from the W.K. Kellogg Foundation, giving $3,000,000. Next up is the Ford Foundation, who gave $2,350,000. Then, George Soros‘ Open Society Foundation, who gave $1,750,000. Smaller donors included the California Endowment ($524,500), the Marquerite Casey Foundation ($515,000), Fidelity Charitable Gift ($505,100) and the National Immigration Law Center ($316,000). And then there’s the CCAA’s “social welfare” arm. That arm, in 2015, received $1,750,000 from Every Citizen Counts, which is a nonprofit that was created by friends of Hillary Clinton to help mobilize Latino and black votes, and $1,475,000 from George Soros’ Open Society Policy Center. The Sixteen Thirty Fund, which is a “progressive advocacy group” gave $610,000, the Center for Community Change gave $150,000, the Services Employees International Union (SEIU) gave $150,000, the Atlantic Philanthropies gave $75,000 and the Tides Foundation gave $50,000. Last year, George Soros said that he planned on spending $15,000,000 on wooing Hispanic voters. Ford has come out to say that while the Ford Foundation was started by the Ford family, it is “no longer connected to the Ford Motor Company.” Fidelity Charitable also said that their donation was due to recommendations from individual donors and that the money does not mean that they endorse the investment. Unredacted Tax returns show both Kellogg's and Ford are huge anti-Trumpers and donating millions to fight Trump and republicans. BOYCOTT!! A few days ago, we reported that after so many consumers discovered that Kellogg’s was supporting George Soros-linked groups and was refusing to advertise on Breitbart, their CEO was forced to resign due to the terrible sales numbers that the brand had suffered. 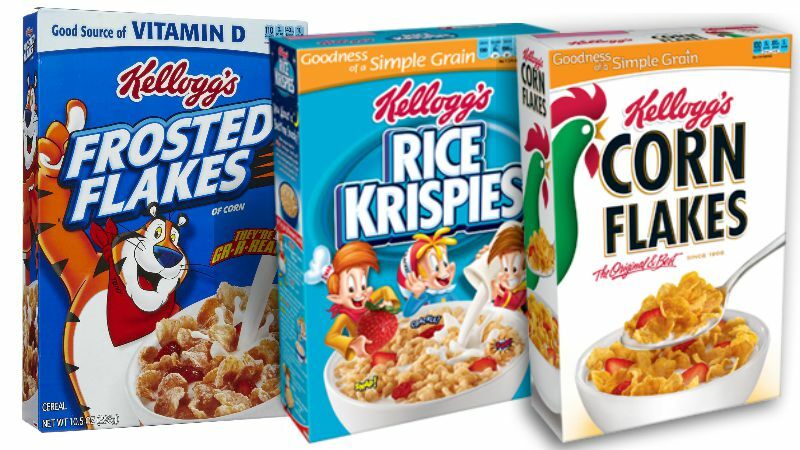 So far, hundreds of Kellogg’s employees have lost their jobs, with Michigan, North Carolina, New York, Minnesota and Pennsylvania all being put out of work due to the brand’s anti-conservative actions. He was replaced by a Chicago native with experience at both Coors and vitamin maker Nature’s Bounty.